We know that everyday tasks can be challenging when living with a disability. To help you get around with ease, we offer a range of daily living solutions. At Interlake Healthcare Products in Selkirk, MB, excellent accessibility products are within your reach. 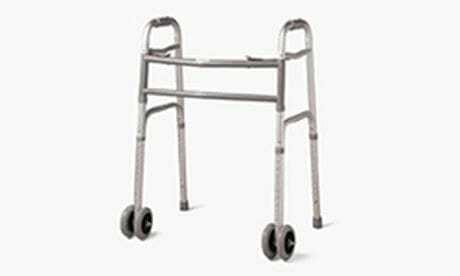 Our expansive inventory of daily living items includes walking aids, ramps, and bathroom safety equipment. Additionally, we provide prompt and professional installation and maintenance services for all of our equipment. To get a better idea of what we offer, feel free to get in touch with us. Our friendly staff would be more than happy to assist you. We offer our products and services at competitive rates. By doing so, we make it easy for you to get exceptional accessibility solutions. Aside from offering reasonable rates and prices, we provide financing for all of our products. Speak with one of our team members for details about our financing options. If you have temporary healthcare needs, you can get our products on a rental basis. We provide daily, weekly, and monthly rental plans. We focus on providing you with products that can help make your life better. With our large selection of accessibility equipment, tools, and accessories, you can enjoy enhanced mobility, freedom, and independence. In order to ensure your safety and comfort, we carry only the most trusted brands on the market. We carry basic wheelchairs, as well as tilt and recline wheelchairs. Additionally, we sell lift chairs that are ideal for individuals who have trouble getting up out of chairs. Our mobility scooters are designed to improve your independence and freedom of movement. We also offer modular ramping to help enhance your home’s accessibility. We have knowledgeable and experienced technicians who can maintain and install various accessibility equipment. To schedule an appointment, reach out to us today. We provide free delivery services to customers throughout Selkirk. In addition, we can coordinate shipments to other towns to help you get affordable delivery rates. © , Interlake Healthcare Products. All Rights Reserved.